Ah Paul.. my “neck of the woods! Milnerton is where I always stay when in CPT mainly as I have friends there and I rather like it’s location. I’ve never been to the flea market though. Is it still next to the beach? Or further back? It looks quite misty in this shot! Yeah, well, it’s close to the ocean (the train tracks are all that separate it from the sea), but I don’t recall seeing a beach that I think many would frequent. That said, Woodbridge Island and some of the surrounding areas have really nice beaches. Oh, yes, the skies were clear and blue about 1 or 2 kilometers inland – but yes, there was a thick mist rolling in from the ocean. You can try the Neighbourgoods Market – http://www.neighbourgoodsmarket.co.za/ as well as the Market at the Palm – http://www.palms.co.za/. Neither of those are in gardens, unfortunately. 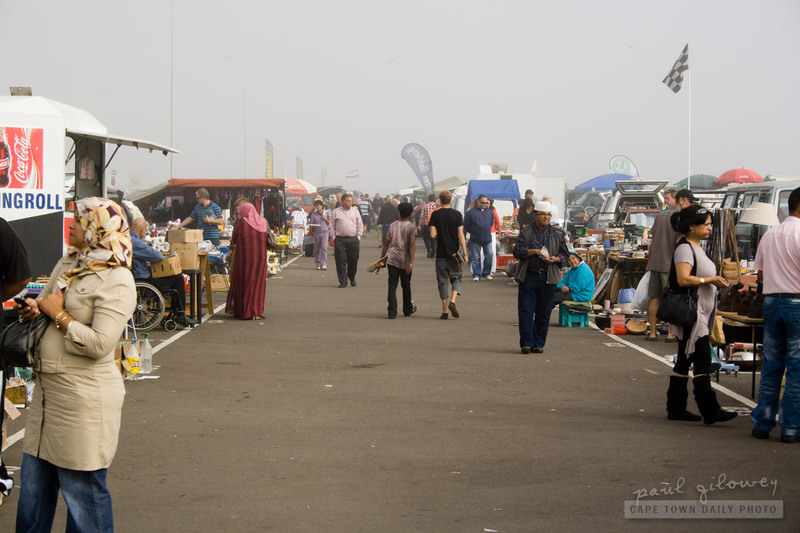 You could also visit Durbanville Craft market… they’re outside also – http://www.durbanvillecraftmarket.co.za/.